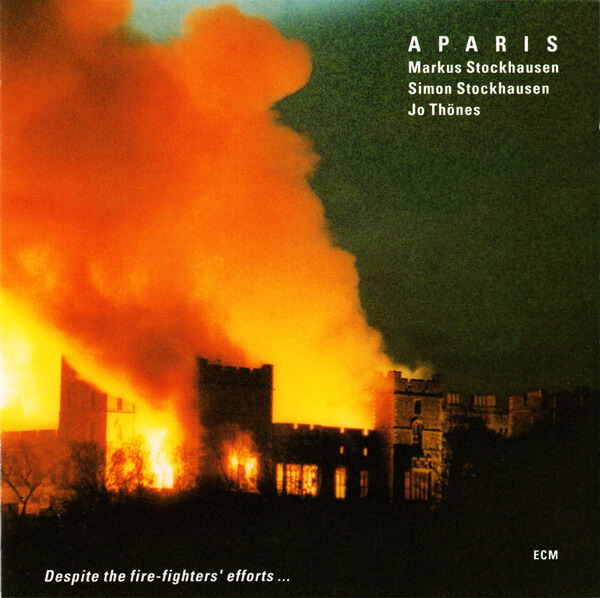 You're currently browsing page: /trompeter-musiker-komponist/154/aparis-despite-the-fire-fighters-efforts/?lang=en of www.markusstockhausen.de. Released in 1993 | With Markus Stockhausen, Simon Stockhausen and Jo Thönes. Music: Simon and Markus Stockhausen.